Como Hotels and Resorts, which owns the Bhutanese lodges Uma by Como, Paro and Punakha, Bhutan, has launched an exclusive seven-night adventure with flights to and from the Kingdom via private jet. 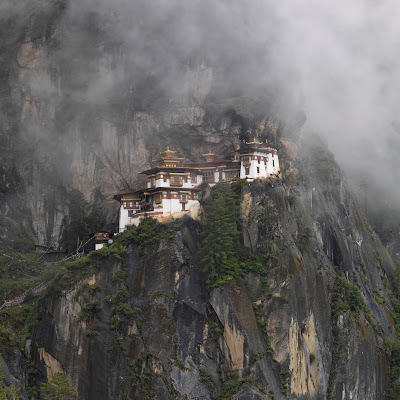 The 'Luxury Himalayan Escape' is being offered in partnership with global aircraft charter specialist Chapman Freeborn - the only private charter broker with permission to fly in and out of Bhutan. The all-inclusive, seven-night experience begins with arrival to Bhutan's Paro airport via private jet. Depending on the departure point, guests are able to charter anything from a Cessna Citation light jet to a long range Gulfstream G450. The aircraft are available with VIP configuration, the larger varieties offering luxurious bedroom and dining areas as well as cutting-edge in-flight entertainment. After a fast-track priority check-in, guests will spend four nights at Como's Uma Paro lodge in the Paro Valley followed by three nights at Uma Punakha, further north in the Punakha Valley. Both properties feature breathtaking mountainside locations, interiors filled with Bhutanese artisanship and Como Shambhala Retreats for massages and other wellness treatments. The trip features full-board accommodation at both lodges as well as six-and-a-half days of privately guided hiking and day excursions to cultural landmarks such as the Punakha Dzong and the capital, Thimphu. All excursions will be accompanied by professional English-speaking Bhutanese guides and a personal butler at both hotels. Whitewater rafting on the Mo Chu river, a private conversation about Buddhism with local monks, and traditional Bhutanese welcome gifts and dances are also included, as well as a Como Shambhala Massage and a Bhutanese hot stone bath for two. 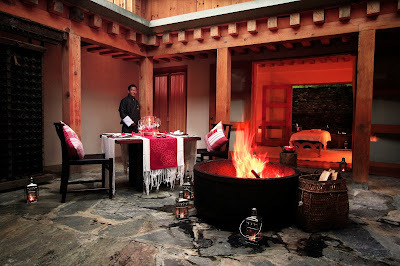 Guests can enjoy private yoga with a Como Shambhala expert, and on their last night, a romantic fire-lit, four-course dinner for two with Champagne in the courtyard at Uma Paro. Pricing is indicative and subject to availability and operational variables at the time of booking. For more information and booking, check out the website.